I have spent a few nights in the top bunks of huts where you cook until the early hours of the morning waiting for the wood burner to die down. I thought I would get a cheap bag of Aliexpress to use instead. The price is diddly squat so why not. I tried it out Labour Weekend camping at the hotsprings on the Mohaka. Compared it to my 30yrs+ Fairy down Lite weight. 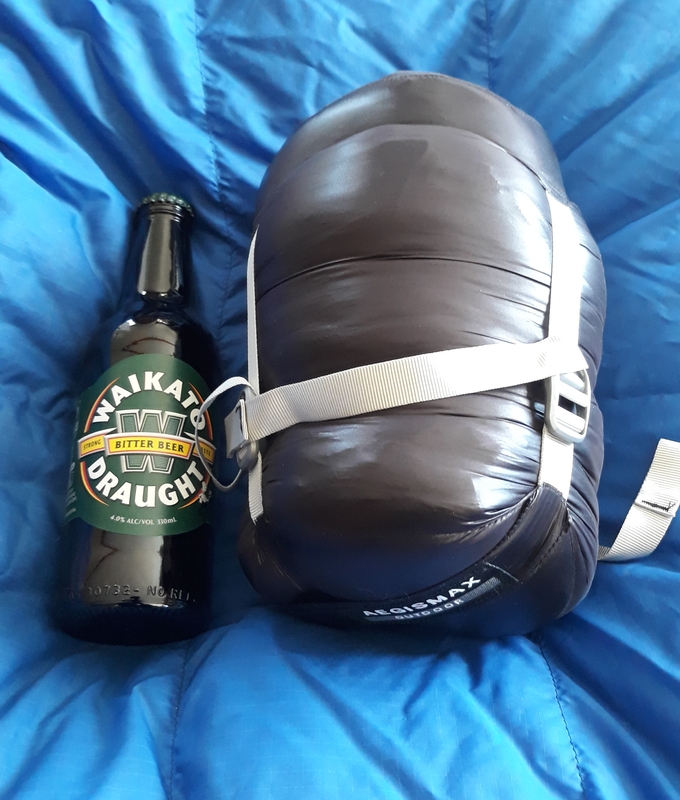 Took both bags as getting cold isn't top of my wish list these days. Fairydown 1344 gms both weighed on kitchen scales in storage bag. The Aegismax is a sewn through construction which didn't auger to well. Now it was stinking hot during the day but temps at night plummet with a clear sky and no wind. Stated out 30c during day got down to -1c outside 5c in tent. First night started of with the Aegismax wore merino tee shirt.merino long johns and possum blend socks. In a liner which I always use to keep bag clean. Bag open like a quilt all good to about 7c. Got up had a pee listened to the kiwi buggering around behind the tent. 5c early morning added a fleece top. Was cold until i got up. Next night Fairydown,liner and gruts. Not quite as cold only got down 0c outside. Smells a bit of geese starting to dissipate. Sewn through construction makes to cold. I wouldn't use when fly camping below zero as I would get cold. 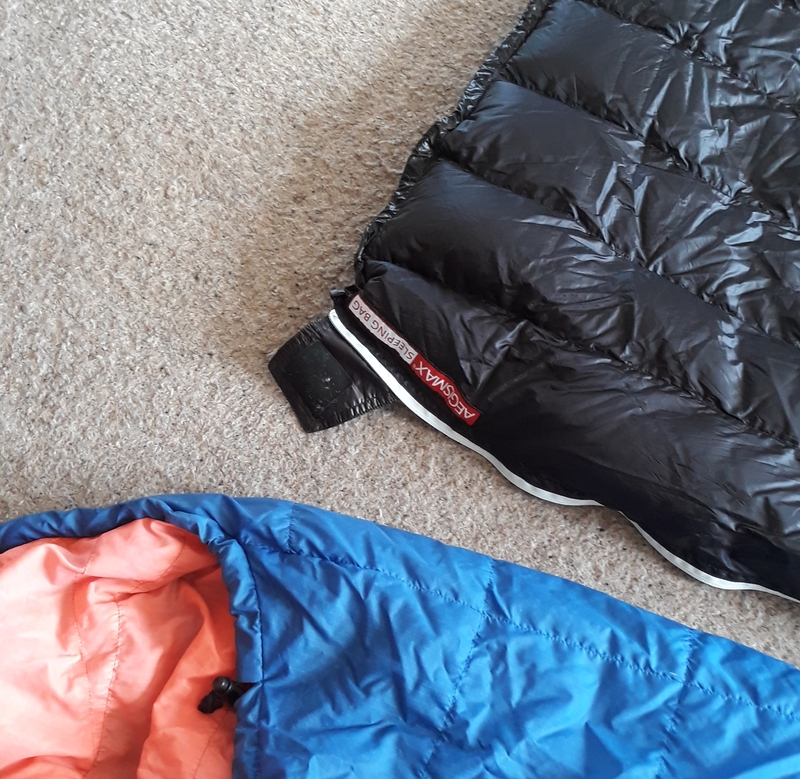 Still happy with my Fairydown but looking at a Macpac,Sea to Summit or Rab weighing about 800 gms as a second bag lighter and more compressible. I've been very happy with my Montbell downhugger 800 #2 from Japan. It weighs 735gms, rated down to -6 and compacts down fairly well. 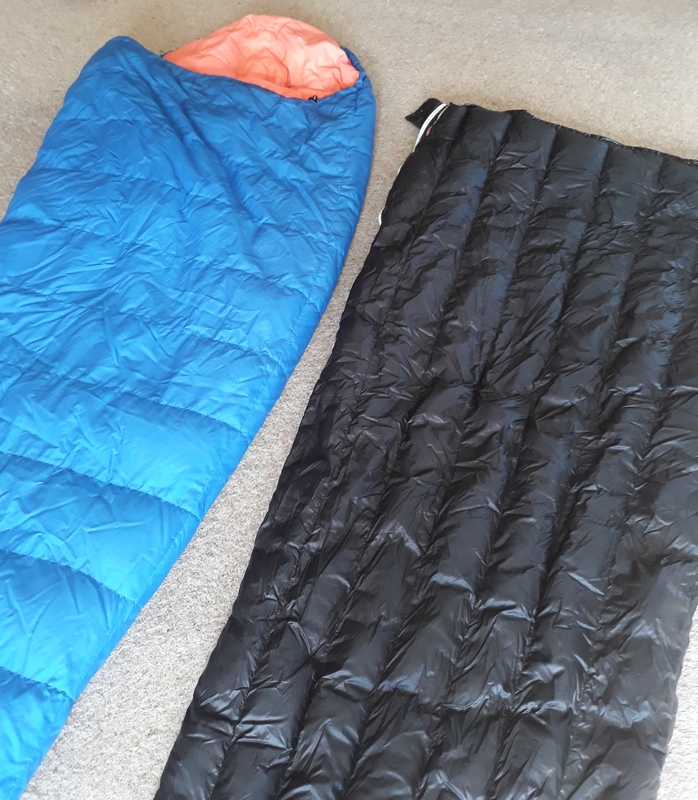 It has the Super Spiral-Stretch System which makes the mummy bags a bit more liveable if you toss and turn all night like me. It also has POLKATE water repellent that repels light rain and makes it resistant to stains.